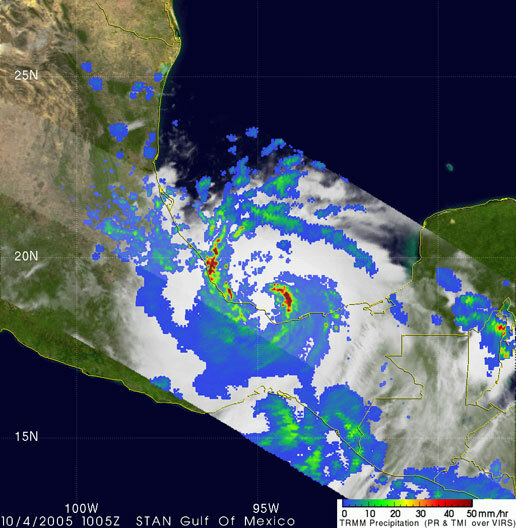 On October 4, 2005, Hurricane Stan made landfall in eastern Mexico and quickly dispersed southward into the western regions of Central America. 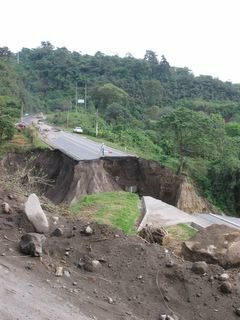 The damage caused by the hurricane was really extensive throughout many parts of Guatemala - not because of high winds, but rather due to 4-5 days of non-stop rain, which caused almost every river and stream in the mountainous parts of the country to overflow (some quite severely). This highway was completely washed out by what is a normally small stream passing through a culvert under the road. During Hurricane Stan, the stream apparently swelled to more than 10 times its normal size. 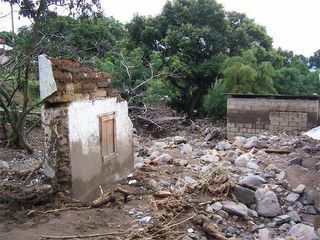 The result of an overflowing stream coming through someone's house, in San Marcos La Laguna. (Thanks to Headout.net for the photo) Images like this can be seen throughout many of the mountainous areas of Guatemala, as the heavy rains caused virtually every stream in the country to overflow and turn into raging rivers for several days. In some cases, the heavy rains caused entire mountainsides to collapse in huge landslides. 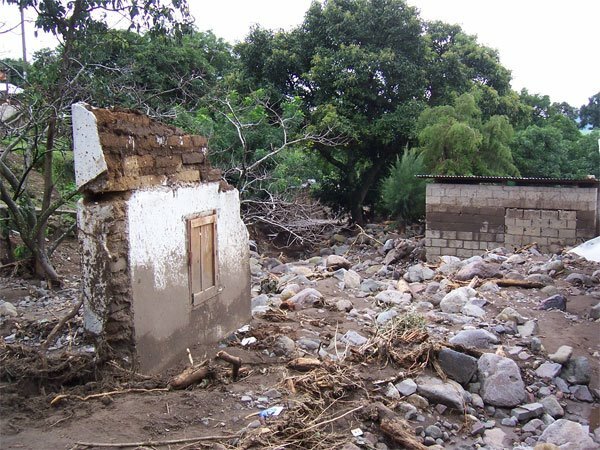 One particularly bad landslide buried an entire village near Lake Atitlan, killing more than 500 people. The aftermath of a deadly mudslide near Tacana, in western Guatemala. 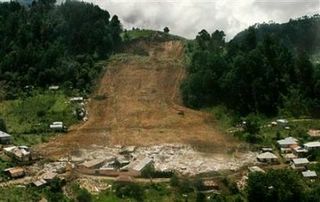 This mudslide killed around 80 people.